Soaring spirits sales have sparked demand for knowledge with new figures from the Wine & Spirit Education Trust (WSET) revealing that candidate numbers for spirits qualifications are higher than ever. As the largest global provider of wines and spirits qualifications, WSET is reporting a record 94,822 candidates globally in the academic year finishing 31 July 2018, an increase of +11% on last year. While the popularity of wine education continues to soar, consumers’ penchant for spirits has boosted demand for spirits education. Euromonitor has reported +5.8% growth in the volume of spirits sold in the UK over the last five years, with vodka, whisky and gin dominating sales. The increasing popularity of spirits has led more enthusiasts and professionals to seek deeper knowledge about what they, and their customers, are drinking. The WSET Level 2 Award in Spirits was the qualification that saw the highest rise in the UK, and globally, with candidate numbers up +43% in the UK versus last year and +55% worldwide. 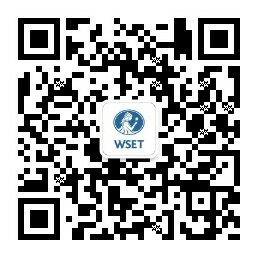 Continued growth puts China top of the table with the highest total number of WSET candidates. The region brought in +9% more candidates over the last academic year, totalling 21,986 overall. The UK remained strong with a total of 19,460 candidates, matching last year, while USA saw the strongest growth of the top three markets with candidate numbers up +24% to 14,204. Having seen phenomenal growth in WSET candidate numbers, Brazil and UAE have both climbed into the list of top 10 markets. With the highest growth of all the top markets, Brazil’s rise is backed by a rapid increase in the number of candidates taking entry-level wine qualifications. Brazil’s Eno Cultura, winner of WSET’s Educator of the Year Award 2017, has been spreading WSET course availability across the country, met with a very enthusiastic response from professionals and enthusiasts alike. UAE has seen a significant boost in WSET candidate numbers for both wine and spirits qualifications, largely driven by the thriving hospitality scene centred around Dubai. Professionals value the gravitas that a WSET qualification gives them when applying for roles in the industry, whilst businesses such as Jumeirah Hotels have started running courses in-house for staff. Availability of WSET qualifications is stronger than ever, with more than 110 new Approved Programme Providers (APPs) opening over the last year, and courses launching in new markets Gibraltar and Uruguay. There are now 33 WSET Diploma centres worldwide, following the recent additions of Bordeaux Wine Academy, Napa Valley Wine Academy and American Wine School. Overall, there are now over 800 APPs offering WSET courses to trade professionals and consumer enthusiasts in over 70 countries. Over the next academic year, the education and awards teams will be carrying out the final stages of preparation ahead of the launch of WSET’s new and enhanced qualifications in August 2019, completing the separation of WSET’s qualifications into three distinct subject-matter streams: wine, spirits and sake. The first-of-its-kind Level 3 Award in Spirits will undergo an intensive pilot programme, whilst materials will be finalised for the Level 2 Award in Wines and the new flagship Diploma in Wines. Further details about these qualifications will be announced in Spring 2019.